This Guinness® Essentials Kit includes the faucet, coupler and a CO2 regulator to nitrogen tank adapter which will allow you to use your existing regulator instead of purchasing an expensive nitrogen regulator separately. Simply switch out the faucet and coupler on your existing system and install the adapter on your regulator and you are ready to go! 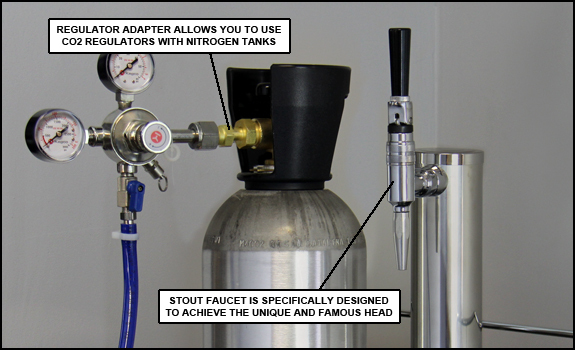 This is a great non-permanent solution that allows you to switch back and forth from carbonated to nitrogenated beers easily.